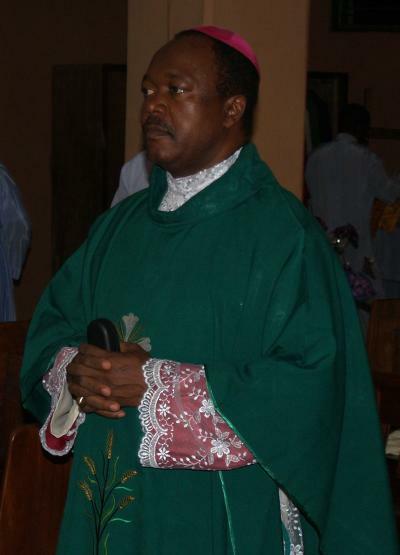 Catholic Bishop of Issele-Uku Diocese in Delta State, Michael Elue, on Sunday, urged Nigerians irrespective of religious inclination, to always imbibe the virtues of truthfulness and humility. Bishop Elue further enjoined all to shun sin, envy, wickedness and other crimes in order to continue to thrive in the society, saying that those who believe in God should demonstrate it through service to mankind. The cleric gave the charge in a homily at st. Martins of Tour Catholic Church in the agrarian community of Igbodo, Ika North East council of Delta State, where he administered the sacrament of confirmation to 170 faithful, coming after baptism and first holy communion, in line with the Catholic doctrine. He specific reminded Christians of the need to live exemplary lives, and never ascribe the glory of God to themselves. Elue said pride is a sin, and urged all not to replace humility in their lives with humiliation, noting that anyone that wished to be in the good book of God must be truthful and humble, which according to him, were the virtues that won the John the Baptist to the heart of Jesus Christ. He commended Igbodo community for embracing Christianity, and praised the effort of the Parish Priest of St. Martins of Tour Catholic Church, Igbodo, Rev Father Bernerd Oleru for being a true representative of the Catholic faith and in the development of the church in Igbodo. The Parish Priest, Rev. Fr. Bernard Oleru, MSP, said the pastoral visit of the Bishop Elue to Igbodo has further strengthened the people’s consciousness to worshiping God, assuring the Bishop of a more committed faithful to the service of God and humanity. President-General of Igbodo Development Union worldwide, Deacon Mathew Okwaje, a former Head of Service in the State, Sir. Paul Evuarherhe, Dr. Martins Okonkwo of College of Education, Warri and Rev. Fr. Jude Iwedinor of St John Bossco Catholic Church, Asaba, acknowledged the unrelenting efforts of the Catholic Priest in Igbodo to winning more souls for Christ, stating that his evangelical mission to Igbodo had brought countless blessings to the community. Other indigenes of the community, including, a retired Permanent Secretary in the state, Joseph Anyali, Mr. Nedum Azikiwe, Mrs. Mary Nkem-Nwaeke, Chris Ubani and Mr. Chiedu Unomah commended the pastoral visit of the Bishop, stressing that it has further galvanized the community to the work of Christ.